All yoga teachers at Himalayan Yoga Association are certified accomplished yoga teachers, holding master and Phd degree in Yoga Sciences recognized by the government of India. All gurus have been teaching yoga for many years around the world and their experience as well as accomplishment on the path of yoga makes very easy for them to understand their students and guiding them towards right direction. Yogi Ajay Ji is the Co-founder of Himalayan Yoga Association and inspiration for all the yoga teachers. Ajay Ji believes that it is his dharma to guide the yoga enthusiasts so they can reach their yoga goals. Ajay ji teaches yoga Anatomy, Philosophy, Yoga therapy, Ayurveda. He is of terrific personality, he is consciousness of all consciousness, the soul of all souls and profound knowledge of the all types of yoga. A simple man, fewer needs, and an accomplished yogi is what describe Himanshu Ji. 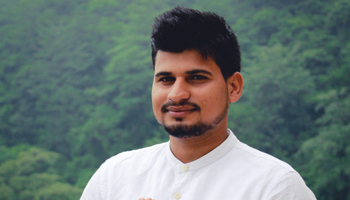 He is one of the most respected yoga gurus in the yoga city of Rishikesh. His aim has always been to educate the people about yoga sciences and yoga philosophy. He has become an accomplished yogi after acquiring an intense yoga sadhana. He is pursuing Masters in Indian & Western Philosophy. Himanshu Ji teaches yoga philosophy & Meditation. Yogi Rajesh Ji was born and brought in a spiritual environment. 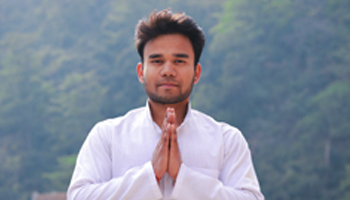 Hatha Yoga, Vinyasa Flow, Ashtanga Yoga, Kundalini Yoga, Pranayam, Meditation, Pranayama, Mudra Yoga, and Mantra Chanting are some of his expertise. 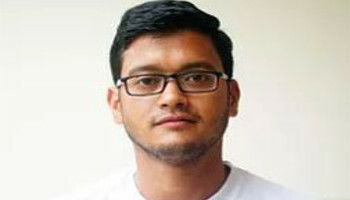 Currently, he is pursuing Master of Science Yoga Degree from Uttarakhand Sanskrit University, Haridwar. His inspiration yoga classes enable the students to know about the art of Yoga. One of our finest yoga instructor Yogi Deepraj Ji is a gold medalist in international yoga championship events. The simplicity of Deepraj Ji and his life and teachings helped the students to know what the want to do in their life. He is the ideal yoga teacher for all practitioners because his teaching covers all aspects of yoga but it also cultivates love in practice.Power, inquiry, endurance & summerise his yoga teachings. One of the fabulous yoga instructor in rishikesh. He believes in practice and that’s what makes him a good teacher. He is very calm and composed. 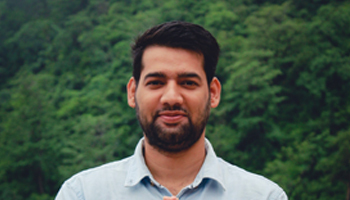 His teaching style is very unique which always assists beginners as well as advanced practitioners. 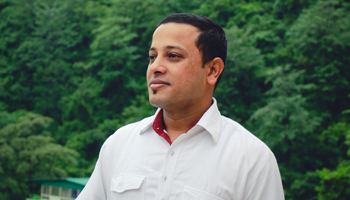 He’s very energetic and always keen to help everyone. He has got tremendous enthusiasm. He has spent a lot of days in ashram which makes him very dextrous. He is currently pursuing masters in yoga from sanskrit university. 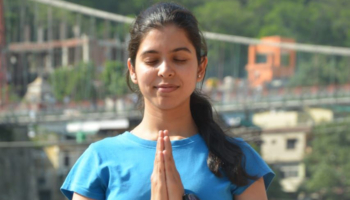 Yogini Praveen Ji has a profound experience of teaching meditation. Her heart is the source of inspiration for her teachers which helps the yoga students to know their true nature. Praveen Ji has learned yogic teachings from great yoga masters. She is also a certified healing teacher. The years of yoga teaching experience has helped her to develop special and unique meditation techniques which proved effective.